1. Reintroduction challenges aren’t a one-size fits all approach. The testing schedule, as well as the amount and type of test food, often need to be tailored to meet individual needs (1). For example, if you take up to 24 hours to start reacting to a high FODMAP food, then testing a FODMAP three consecutive days in a row might not be appropriate, as your first reaction might appear after the 2nd dose of the FODMAP food. Instead, more accurate results might be obtained by having a rest day between each test to see if symptoms develop (1). That way you will know exactly what serving size your FODMAP threshold is linked to. Some people also have other food intolerances or personal taste preferences that need to be considered (1). The goal is to test each FODMAP group and also identify foods that you are comfortable adding back into your diet. Re-challenging fructans using garlic might not be appropriate if you never eat garlic. A dietitian could choose a different fructan containing food to test instead. The amount of the FODMAP test food also needs to be considered. For example, if you never eat three slices of bread in one sitting then this should be reflected in the re-challenge test. Instead your dietitian could help you split the test over the course of a day. One slice of bread for breakfast and two slices of bread for lunch. These examples highlight that a FODMAP trained dietitian can optimise your FODMAP reintroduction challenges, and ultimately help you to reintroduce more foods. 2. It doesn’t matter if the re-challenge food is cooked or raw. Just make sure you eat the recommended amount. While cooking high FODMAP foods can sometimes change the FODMAP content, it is unlikely to reduce the FODMAP content from high to low (2). Pureeing or mashing the food should not impact the FODMAP content either. This means you can enjoy the re-challenge foods cooked, raw or blended. Think about how you would normally eat the foods and try to incorporate the re-challenge food into a dish or meal that you enjoy eating (this will help reduce your anxiety levels). If you are reintroducing foods it may as well be a fun experience! 3. A little bit of bloating isn’t a bad thing! FODMAPs are prebiotic foods that feed our good gut bacteria. This means a little bit of bloating is beneficial and doesn’t mean you have failed the FODMAP challenge (3). If your mild symptoms progress to moderate or severe then this could indicate a FODMAP reaction. Reactions that cause pain or significant discomfort are not okay (3). Talk to your dietitian about what level of symptoms you are comfortable with, so they can help you reintroduce the right levels of FODMAPs. 4. A reaction to a high FODMAP food group doesn’t always mean you need to avoid that FODMAP for life. The good news is our tolerance levels change over time and can be influenced by our stress levels, gut health, and overall wellbeing. This means if you are in a healthy space and are feeling settled and relaxed, then you might find you can tolerate more FODMAPs. We suggest you re-challenge problematic FODMAP groups at least once a year to see if you can add more foods back into your diet. 5. Don’t give up if you fail all the FODMAP reintroduction challenges. If you fail all of the FODMAP reintroduce challenges, double check there isn’t something else going on. 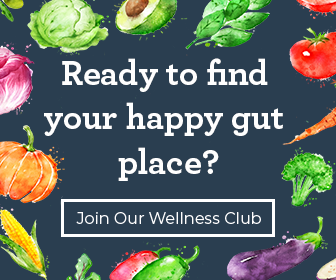 An undiagnosed medical condition like coeliac disease, small intestinal bacterial overgrowth (SIBO), a separate food chemical intolerance or high levels of anxiety or stress, could be lowering your FODMAP threshold. Also check your portion sizes of low FODMAP foods and make sure no sneaky FODMAPs have found their way into your diet, as these could influence your re-challenge test results. Next step is to start increasing the portion size of low FODMAP foods you already tolerate like bok choy, green beans and canned tomato. Slowly increasing your portion size will help to increase your tolerance levels without going through a stressful re-challenge test. Also try to incorporate foods that have a moderate FODMAP serving size in your meals. With the right information and a tailored reintroduction plan, it is possible to successfully reintroduce high FODMAP foods. Try and enjoy the process by creating some delicious meals using high FODMAP foods. To learn more about the reintroduction phase and some example test foods read this. Let us know how your FODMAP reintroductions are going by commenting below. Photo Credit: ‘Fresh Sliced Watermelon‘ by Africa Studio licensed under Shutterstock Standard Image. Edited by A Little Bit Yummy.